Liberty is an good choice for those who like modern designs, its is a HTML5/LESS template built on Bootstrap 3.1.1. This is a one page design with scroll down option. 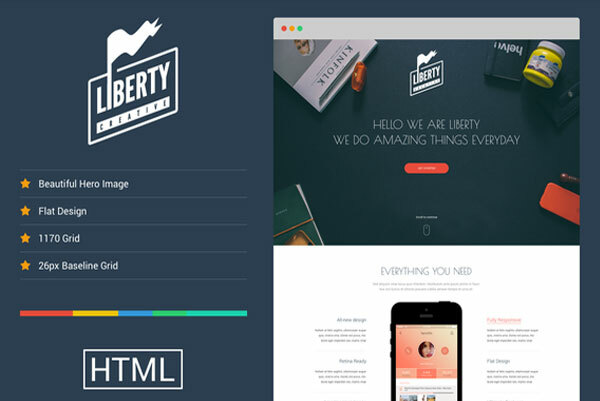 You can download the PSD file of Liberty template for free at developer site. You can view a live demo of Liberty html template by clicking the demo button below.